Insect removal in Sale Moor plays an important role, because not only do insects cause damage to garden plants, they find their way indoors too. Termites cause billions of damage to property and the worrying part is that damage to your home is not likely to be covered by your homeowner’s insurance. Tackling termites, moths, ants, mosquitoes, caterpillars, cockroaches and bed bugs is not for amateurs, and if you want to get rid of these pests properly, only a professional can to the job effectively. At Pro Kill Environmental, we’ve got more than 25 years of experience in the pest control industry and with our teams of specialist technicians, we’re able to tackle pests wherever they’re found – in 2 bedroom apartments or in huge, sprawling buildings such as hospitals, schools or business premises. Our staff are well trained and are fully compliant with health and safety regulations. We keep up to date with changing regulations regarding safe pesticide usage as well. With our experience and knowledge, we’ve got a large portfolio of clients from every kind of industry. In Sale Moor, insect removal is our forte. We’re called upon by farmers, the construction industry, industrial clients, local government, emergency services, nursing homes – you name it. People appreciate that we’re fully insured and that we comply with the British Pest Control Association standards. We’re members of this accredited Association as well as others and this is what gives our customers the assurance that they’re dealing with true professionals. Every client is different, and we do site surveys and assessments, after which we draw up a report in keeping with what our plan of action is for the particular client. We’re upfront about our insect removal in Sale Moor and the price we quote is the price you pay – no hidden extras. If you’ve got an invasion of one or more insects, don’t wait to contact Pro Kill Environmental for insect removal. 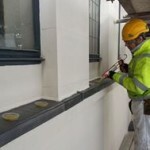 We can do a free survey and give you a no-pressure free quote. We believe in getting to the source of the problem immediately before it gets out of control. This entry was posted in Pest Control and tagged Insect Removal in Sale Moor, Sale Moor Insect Removal. Bookmark the permalink.